Adding on to the top here. 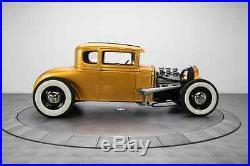 The double Z'd chassis works as the base for a great hot rod. 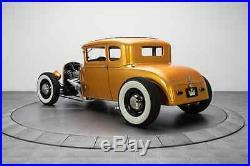 Body on top, nice hot rod stance. Channel your body over the rails for a real low look. But still a legal drivable car. My frames are under some very recognizable cars. 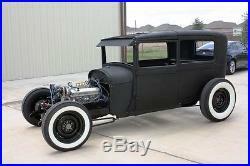 We've been in Hot Rod DeLuxe, Rod and Custom, Street Rodder. We have been building our double Z'd frames for a few years now. 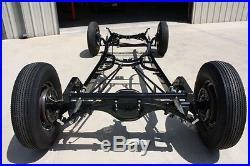 Standard rolling chassis, minus wheels an tires. 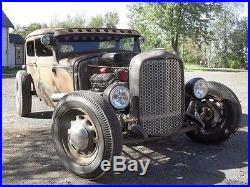 Includes, Pete & Jakes complete I-beam front end, 4 dropped axle, Posies spring, Vega steering box & pittman arm, SBC motor mnts, Brake pedal (for automatic only). 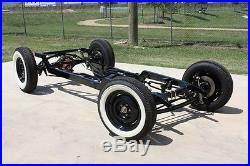 9" Ford rear with axles brakes and third member (the 9" factory) & all brackets fully welded, Ladder bars, Rear spring, shocks. Spec's; 8" kick in rear, 4" kick in front. Stamped Model A front crossmember. 106" wheelbase, 3" stretch over stock A. Added length is between firewall and front crossmember. Full length taper on front rails. (cuz it's stock looking)(and boxed horns are gross). All joints miter cut and TIG welded. Built in our own jig and fixtures. Our spring pads, dogbones, front frame horns etc are water jet cut. Center section includes ladder bar mounts and our adjustable transmission mount. 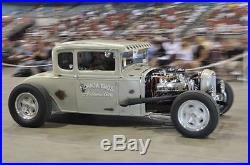 Fits all Model A Ford bodies 1928-31. Roadsters, coupes, sedans, pick ups. Cars & chassis shown are our customers projects for samples. The frame is designed for the front axle to have spring on top. That's the way Henry Ford designed it. I hate to see a tie rod out front. 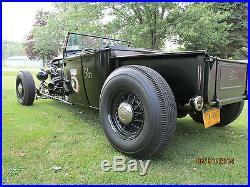 Rear is ladder bar and transverse (aka buggy) spring. Simple strong and it works. Frame ships from Denver Colorado area. A popular option is to switch to new split wishbones. Welcome to call to discuss your project. 9:00-5:00 Denver time M0n-Fri. 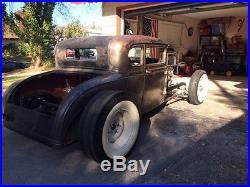 The item "Double Z'd Model A Ford hot rod chassis LOW and engineered to work beauty" is in sale since Tuesday, November 25, 2014. 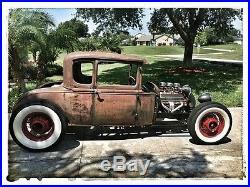 This item is in the category "eBay Motors\Parts & Accessories\Vintage Car & Truck Parts\Other Parts". 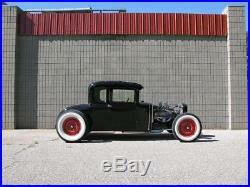 The seller is "rileyautomotive" and is located in Commerce City, Colorado. This item can be shipped to United States.